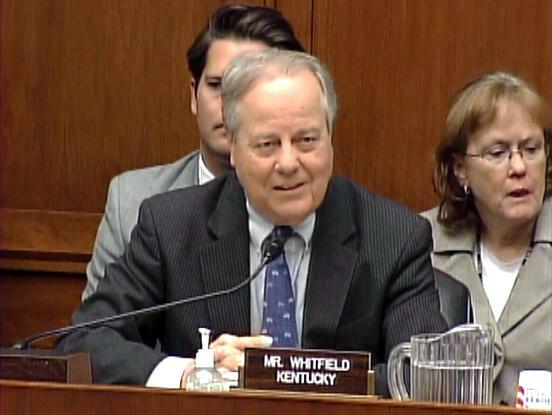 U.S. Rep. Ed Whitfield, (KY-01), Chairman of the House Subcommittee on Energy and Power, Thursday released the following statement regarding his vote to pass the Bipartisan Budget Act of 2013, which will set spending limits for Fiscal Years 2014 and 2015. “The first district of Kentucky consists of many important initiatives that rely on federal dollars such as legacy clean-up costs at the Paducah Department of Energy site, our soldiers at Fort Campbell, those who rely on our community health centers, and many others. These entities cannot adequately fulfill their duties to the people of Kentucky when we are continually relying on short-term budget extensions. This is why I voted for a budget framework that creates fiscal stability over the next two years. “While this framework produces modest savings over time, we must do more to address the deficit and challenges presented by mandatory spending programs. It is now up to Congress to pass the actual appropriations bills that prioritize the spending within the framework and fund the programs important to the people of Kentucky. The Bipartisan Budget Act framework envisions reducing the deficit by between $20 and $23 billion.